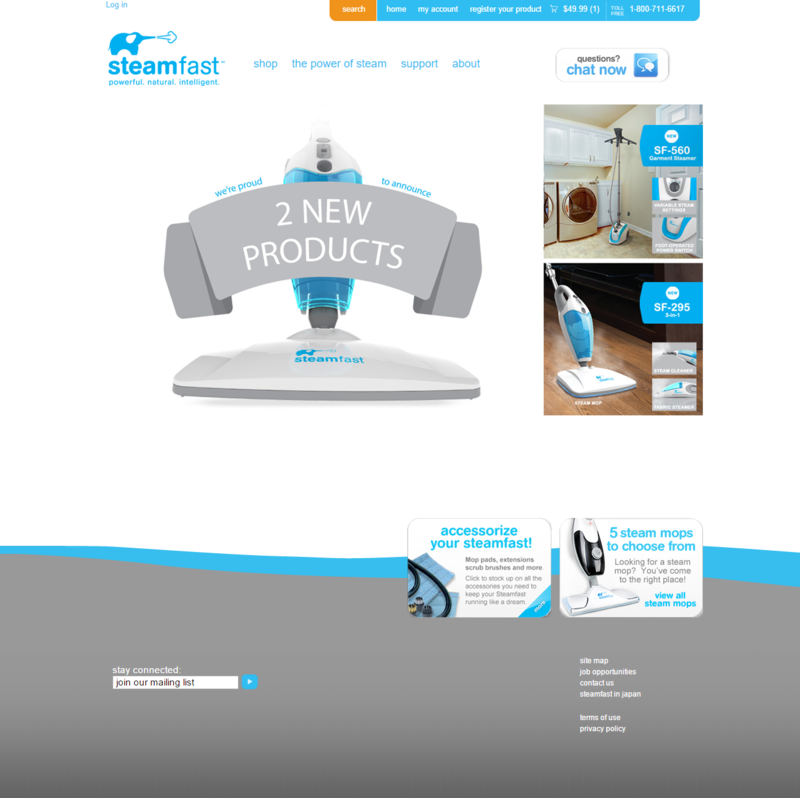 The Steamfast website was built for the Vornado company and extends the same ASP.NET and C# code base as their main website, www.vornado.com in order to provide the highest levels of efficiency and quality control while maintaining flexibility in design, functionality and content. 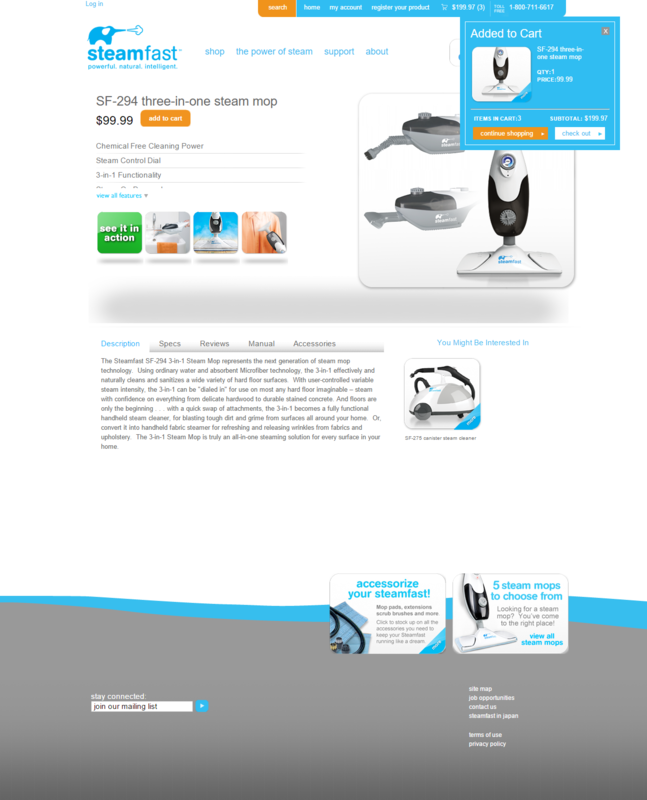 This is a 100% custom ecommerce solution paired with the Sitefinity Content Mangement System. It integrates with many third-party systems including the PLEX Manufacturing Cloud (ERP system), PaceJet shipping service, and FreshDesk online chat system, to name a few. 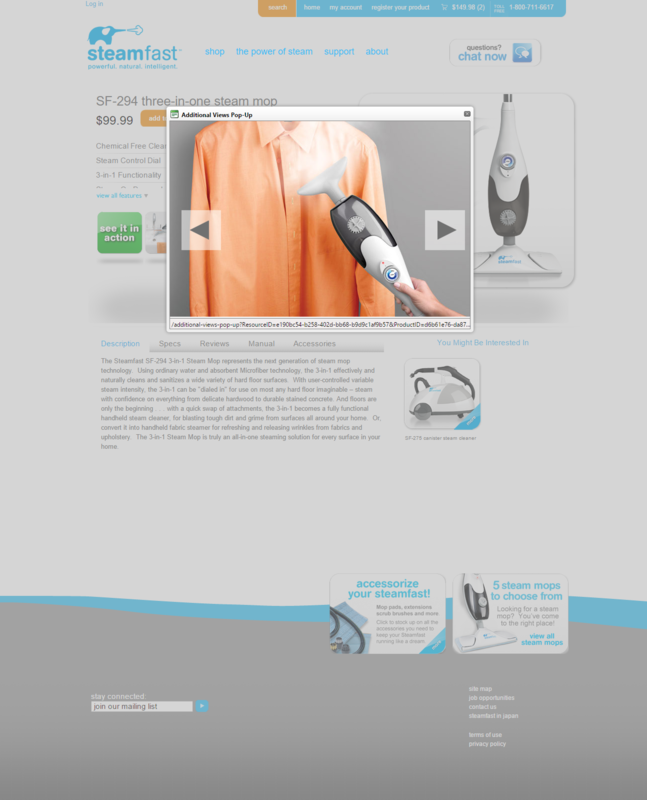 Utilizing precious little documentation, I helped Vornado and PLEX to pioneer the use of the PLEX webservices to fully integrate with a website. This allowed for a significant decrease in Vornado's data maintenance efforts/costs and an increase in data accuracy. 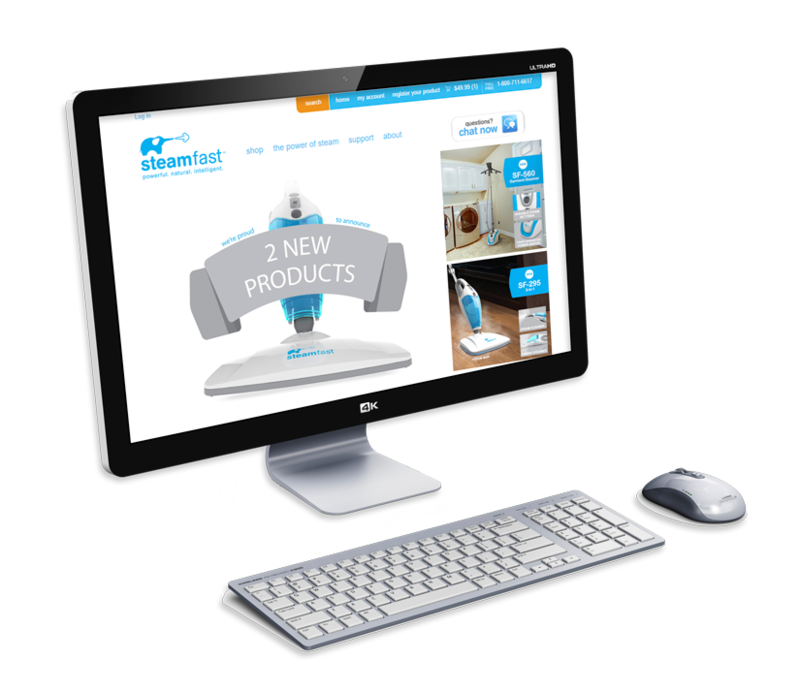 This site also features a custom product subscription system and control panel. The product subscription system automatically generates orders based on the consumer's preferences of date and quantity. Consumers may manage their subscriptions through the website frontend or by calling Vornado's consumer service team who can manage their subscription through the consumer service control panel. The consumer service control panel allows the Vornado consumer service team to manage information such as customer order history and subscription information. In addition, this control panel also provides inventory forecasting for subscription orders and reporting of all future subscription orders, subscription deactivations, and credit card declines. 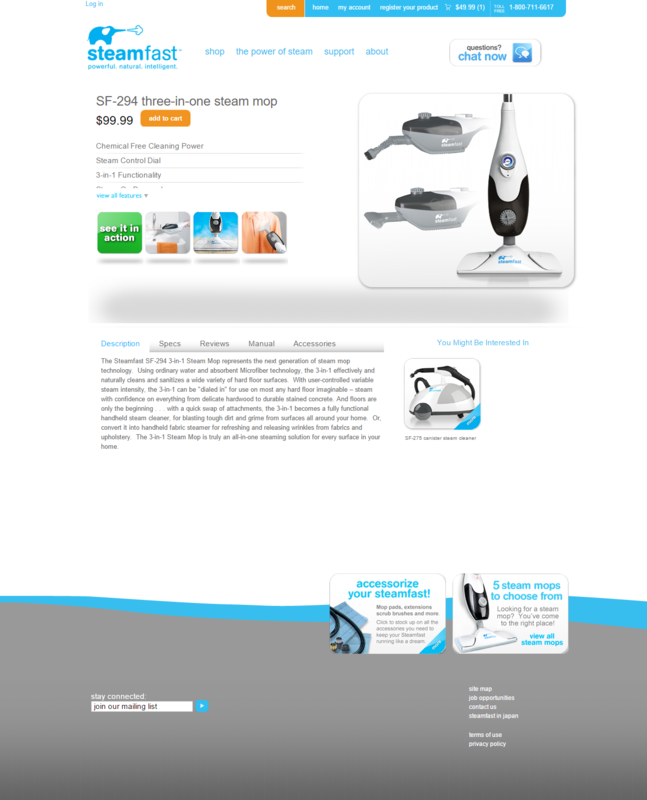 This website was built using ASP.NET 4.0, C#, jQuery, CSS3, and Telerik UI controls.